Whilst the programme reeked of propaganda for the camera's towards justification for an attack against Iran, as those involved were clearly attempting to talk the wider world into believing that the consequences of an attack against Iran would be contained i.e. that Iranian retaliation would be limited due to fears of drawing the US into the conflict. However, one of the consequences that the Israeli war gamers could not mask in the aftermath of an attack on Iran would be the thousands of rockets and longer range missile attacks from Iranian proxies in Gaza and Lebanon who's numbers were more than capable of overcoming Israel's missile defence shield that could perhaps deal with upto 200 rockets per day rather than the prospects for peak attacks of probably over 2000 per day that would be in addition to any remaining Iranian longer range missiles that Israel hoped to degrade during the initial air war. Therefore clearly at the forefront of the Israeli military planning for an attack against Iran has been towards engineering an scenario that would allow Israel to degrade the longer range rockets that could be fired out of both Gaza and Lebanon that would allow Israel's missile defences to be better able to deal with he aftermath of an air war against iranian military and nuclear infrastructure as it would take significant military capability for Iran to retaliate off the military map, as well as improving the probability of earlier US Military intervention in an air war against Iran, by allowing a scenario to unfold that would draw the US into the region under guise of being at the defence of Israel. Israeli Prime Minister Benjamin Netanyahu, facing an election in January 2013 had clearly put the Gaza attack plans on low gear until after the US Presidential election, following which Israel virtually immediately embarked upon a series of military provocations including sending tanks into Gaza on November 8th that killed a Palestinian child, then 2 days later fired a number of shells into Gaza killing a 4 civilians and wounding 38 others. The trigger for Gaza retaliation was the targeted assassinations of Hamas military commander Ahmed Jabari who was killed by a missile that was followed by an extensive bombing campaign to inflame Hamas into retaliating with longer range rockets. 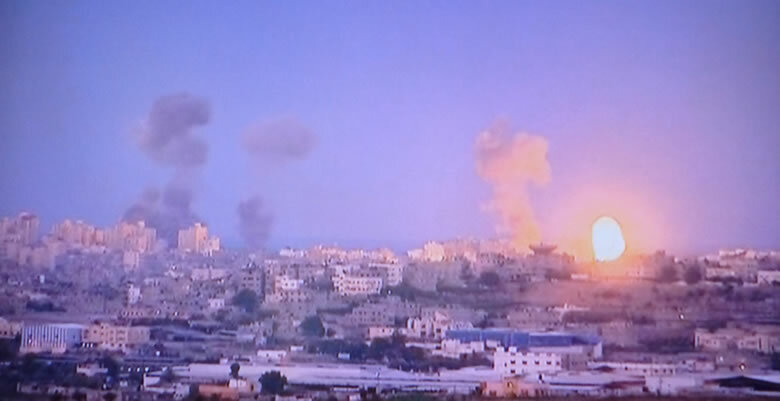 The Israeli Government is using Hamas retaliation as political cover for the justification for an all out air and ground assault against Gaza with the primary objective for seeking out and destroying much of Hamas's longer range rocket stock piles. Hamas by firing a dozen or so rockets at Tel-Aviv is following Israeli war planners strategy as it plays well to Israeli and western audiences that an assault upon Gaza is justified. The Gaza War Phase 1 invasion now appears imminent, as already upwards of 100,000 Israeli troops have started to mass on Gaza's border as the bombardment continues to pave it's way for an invasion of Gaza. The estimated consequences of Phase 1, if inline with the last Gaza war in the run up to the 2009 Israeli elections could see some 2000 Palestinian deaths against an estimated 30 Israeli, and likely to result in a short lived invasion of less than 1 month as Israel would soon require the troops for Phase2. Following the destruction of Hamas's Gaza ability to retaliate following an attack on Iran, and Syria being out of the picture, the Israeli war machine will next eye Phase 2 for a similar programme of first provocation, then invasion and destruction of Hezbollah military infrastructure, which would include carving out a semi-temporary buffer zone in South Lebanon so as to prevent small range rockets and mortars from being fired into northern Israel. Therefore Israel will towards the latter stages of the Gaza War (in a matter of weeks), provoke attacks from Hezbollah by using similar tactics of drone attack assassinations of the leadership of Hezbollah with the main objective for Invasion and ongoing occupation of southern Lebanon so as to diminish the capability for Iranian response via Hezbollah. The estimated consequences of Phase 2, if inline with the last 2006 Lebanon war could see at least 1500 Lebanese deaths (mostly civilian) and an estimated 150 Israeli deaths (mostly military), with the occupation likely to continue until well after an attack against Iran is underway. It is highly likely that an attack against Iranian nuclear and military infrastructure would follow at the peak of Israeli incursion into southern Lebanon as that would have Hezbollah under maximum pressure, which suggests that such an attack could take place some time during January 2013, in the run up to the Israeli General Election. 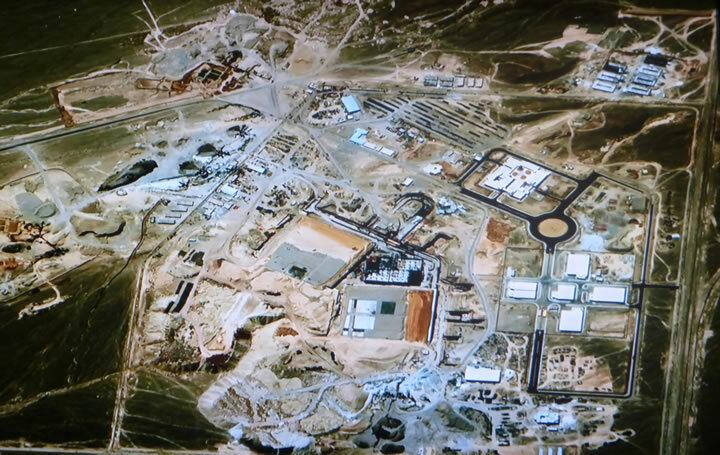 Given that much of Iranian nuclear infrastructure is deep under ground (under a mountain), limited Israeli ground forces may also be deployed, or tactical nuclear missiles used to vaporise deep under ground infrastructure. Iran will have also been under taking war gaming scenarios in which respect witnessing Israel diminishing its capability to respond following an Israeli air attack, Iran may conclude that an Israeli attack were imminent and therefore may choose to strike first before Israel attacks. However the problem for an Iranian first strike following an Israeli invasion of Lebanon is that it would draw the United States into the unfolding war, in which respect Iran is effectively in a lose, lose situation as the outcome would be the same as Iran's air, missile and nuclear infrastructure would be greatly degraded. However, the advantage of a first strike would be that it would unite an increasingly rebellious population that are suffering as a consequence of hyperinflation behind the Iranian leadership. There is also an alterative scenario that could scupper Israel's attack plans which is if Iran decided to comply with UN resolutions regarding its nuclear programme, for which there is no real sign unless behind the scenes negotiations are taking place, in fact Israel starting to dismantle Iran's capability to deter an Israeli air attack will likely result in an acceleration of the Iranian Nuclear programme as Iran attempts to detonate a series of nuclear tests as a warning against an attack, as we have seen countless times in the past such as at the height of the India / Pakistan confrontation of a decade or so ago. The bottom line is that the Israeli Government had put its military plans on hold until after the US Presidential Election, following which it has now implemented it's 3 stage plan the ultimate goal for which is the destruction of Iran's nuclear infrastructure, towards which it is using the cover of actions in defence of attacks from Gaza that the Israeli elite has engineered as part of a series of war gaming scenarios and plans put together many months ago. These plans have now been put into action and the events in motion suggest that we will first see a Gaza invasion, then of Lebanon, followed by a strike against Iranian nuclear and military infrastructure, all within the next 3 months so as to chime with the January Israeli general election that Prime Minister Netanyahu aims to win. In respect of the consequences for a region wide war, Israel has miscalculated in their rush to implement plans, as they see the country's security being underwritten by the United States therefore have ignored the wider middle eastern, Russia, and China dimensions to a conflict that they seem determined to instigate. For instance we could see that whilst the US is preoccupied in another war in the middle east, that China uses that as an excuse to seize the East China Sea Islands that it disputes with Japan and thus change the whole strategic balance of East Asia / Pacific that the US has dominated since the end of World War 2. The probability of an Israeli ground invasion of Gaza - 90%. An invasion of Lebanon - 70%. 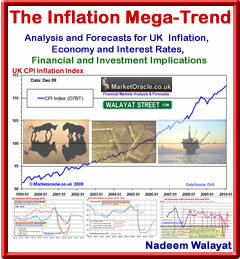 An conventional attack on Iran's nuclear infrastructure before the end of January 2013 - 65%. Use of tactical nuclear weapons on Iran's deep under ground nuclear infrastructure - 40%. 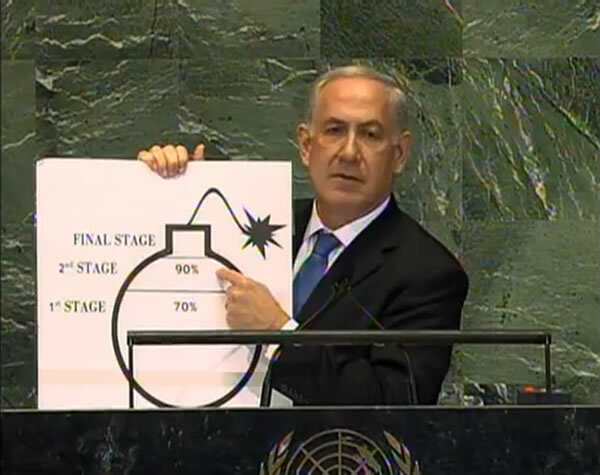 Probability that Iran will do a deal with the US / UN and disarm before being attacked - 20%.